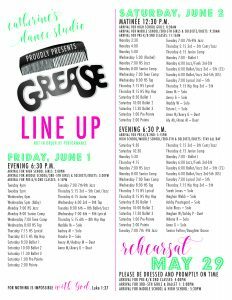 Recital time is one of the most exciting times of the year and our spring Grease Recital is quickly approaching. Our girls have worked so hard preparing for this special day and are excited to share their routines with family and loved ones. 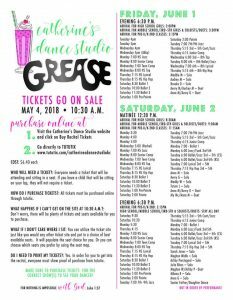 So mark your calendars for June 1 &2, 2018 for the spring recital at the Liberty Performing Arts Center. Here is all the information you’ll need to know in preparation for this special event. 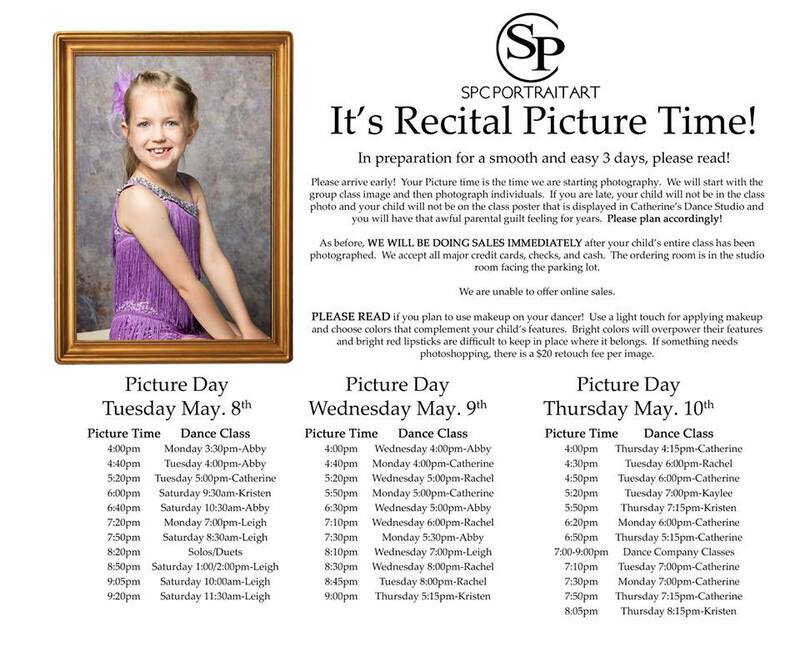 Picture days will be at Catherine’s Dance Studio on May 8, 9 & 10. 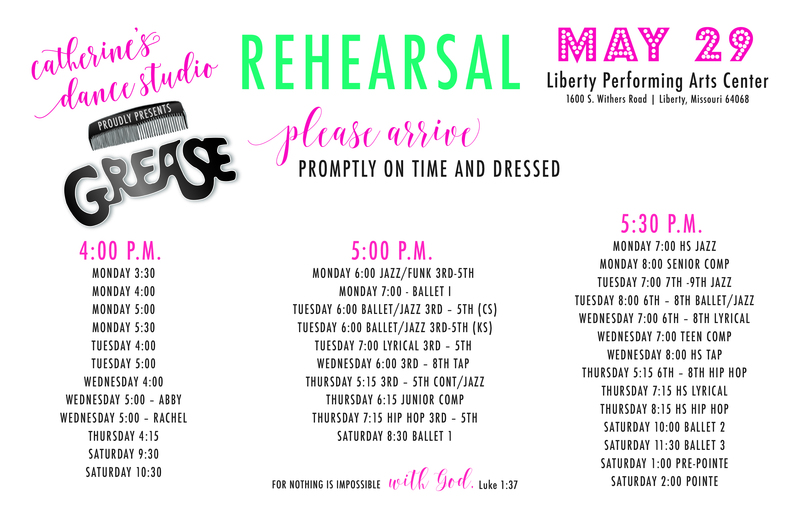 Please check the information listed below for specific times for your dancer. Be sure to arrive early. Times listed below are actual start times so please arrive 10-15 minutes prior to those times. Group photos will be taken first, then individual. Have your dancer all ready to go, meaning dressed in their costume with makeup and hair done. Please note: use a light touch when applying makeup. Bright colors will overpower their features. 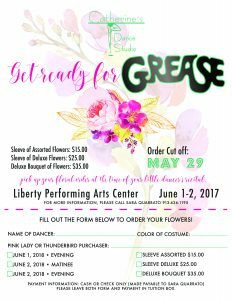 Once again beautiful flowers will be available for pre-order from one of our very own dance moms Sara Quarrato. She does a wonderful job, and the girls love receiving flowers after their performances. 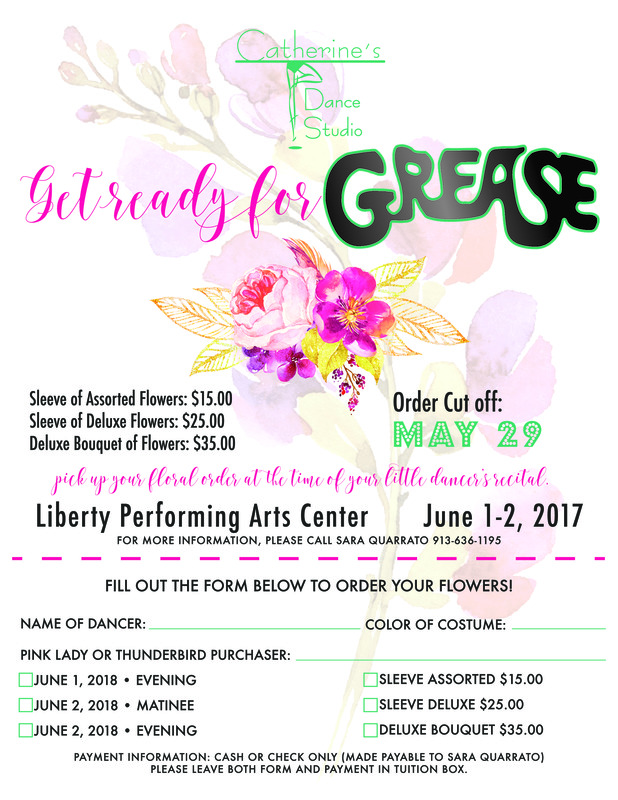 Orders can be placed by printing out the form below and submitting it with payment in the tuition box at the studio by May 29th. 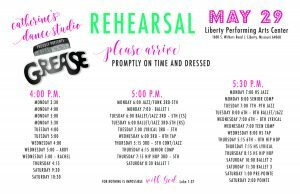 The super important rehearsal that allows for on-stage practice to get the jitters out will be on Tuesday, May 29th at the Liberty Performing Arts Center. 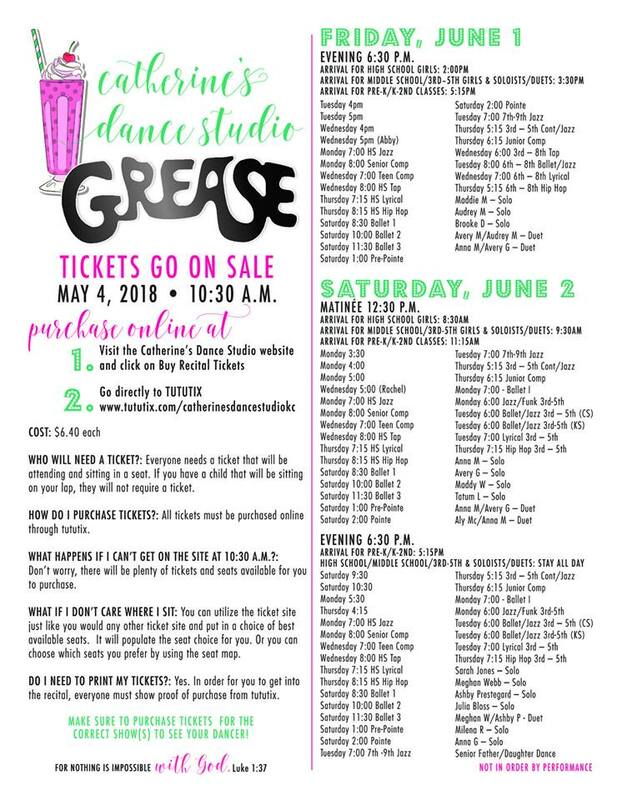 Please check below for your dancers’ times. 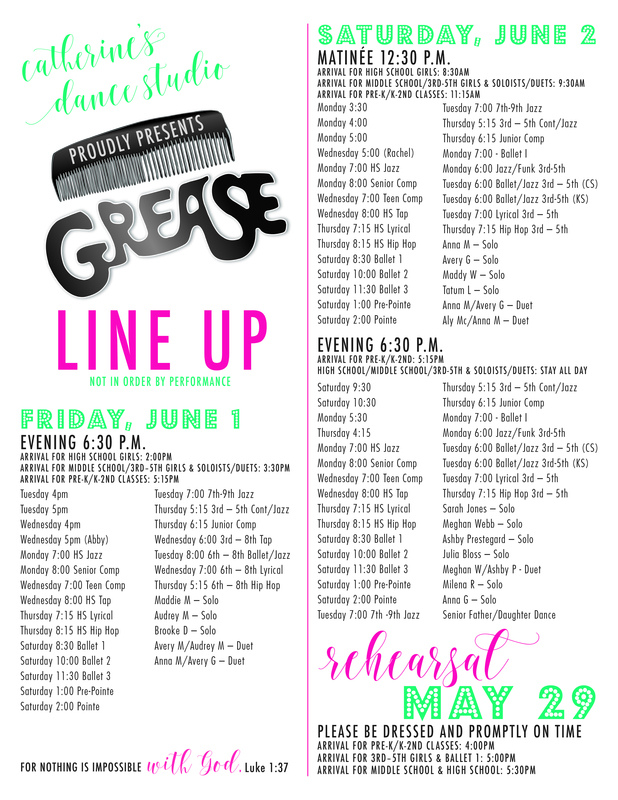 Again, times listed are performance times so be sure to arrive, ready to go 10-15 minutes prior to the times listed. Finally, it’s recital time. The big days are June 1 & 2, and a complete line up is listed below. Bea sure to follow Catherine’s Dance Studio on Facebook for additional information, reminders, and deadlines. All the hard work and dedication of our dancers will finally be on display these two special days. 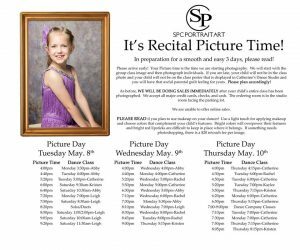 Come enjoy your dancer and cherish these memories for a lifetime.